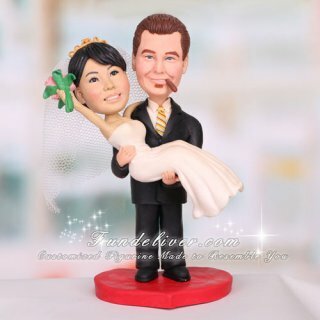 This is a completely customized groom picking bride up wedding cake topper ordered by groom's sister. She is making their wedding cake thus she would like this topper to be a surprise gift for the couple. 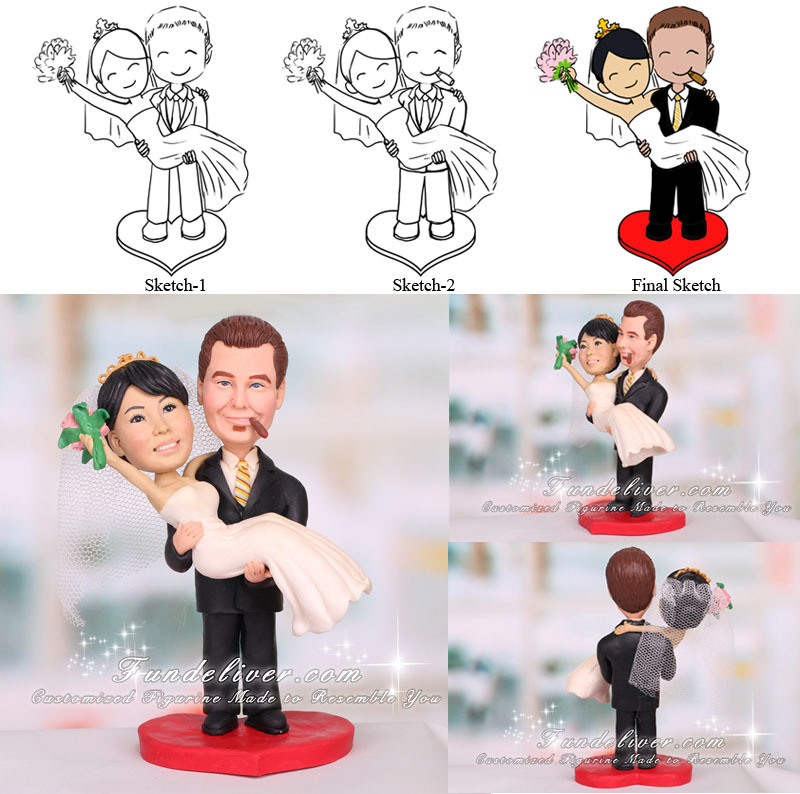 She would like groom to be picking bride up, similar to the pose we have in our groom carrying bride cake topper. She also would like bride’s one arm to be flying out, holding pink flowers in the hand and the other one to be around his neck. A Jeweled crown is added on her head, kinda tipping off a tiny bit, since she's up in the air. Groom loves cigar, so she would like to put a cigar on his mouth.